CC Bel Air 5th Anniversary Party & Sale! 2/9/19 At CC Bel Air - Outpost Only. CC Bel Air 5th Anniversary Party & Sale! At CC Bel Air - Outpost Only. First 50 People In Line for the Event will get a Free CC Power Pack with Over $25 In Merchandise including Comics, Graphic Novels and more..
Cake Cutting at Noon. At CC Bel Air. Games, Activities and more TBA. 25% Off All New Comics Excluding New This Week and New Last Week, Subscribed Titles and Sepcial Orders. 25% Off All Graphic Novels & Manga Excluding New This Week. 1 DOLLAR BACK ISSUES - ALL Bagged and Boarded Back Issues in Back Issue Bins Under Posters $1 Each or 15/$10. Excludes Sets (More than a Single Comic Bagged in a Set) & Bagged and Boarded Variants with "Variant Cover" Sticker. 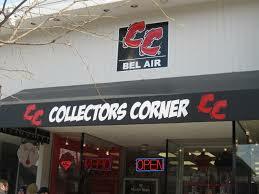 NO BOX DEALS at CC Bel Air. 5th Anniversary Special Gift Card Offer, Purchase a CC 5th Anniversary Gift Card for 100 and get a 5th Anniversary Bonus $50 Added to the Card. Card will be Valid for Use 2/10/19 or After at ALL 3 Store Locations, 5th Anniversary Gift Card Only Available at CC Bel Air. *Excludes Subscription Box, Subscribed Titles and Special Orders, Pre-orders, Items on Hold, Candy, Snacks & Refreshments, All Sealed Trading Card Game Products - Magic the Gathering, YuGiOh, Pokemon, etc, All Collecting Supplies & Accessories for Comics and Gaming, Dice, Playmats, Maps, Cards Against Humanity, Exploding Kittens, Pinback Buttons, Keychains, Lanyards, Stickers, Posters PLUS any and all New & Vintage/Used Merchandise or Restocked Items Dated on Price Sticker Within 14 days of Arrival in Store.